This charming hotel in the left bank of Paris welcomes the travellers with its flamboyant facade and elegant decor. 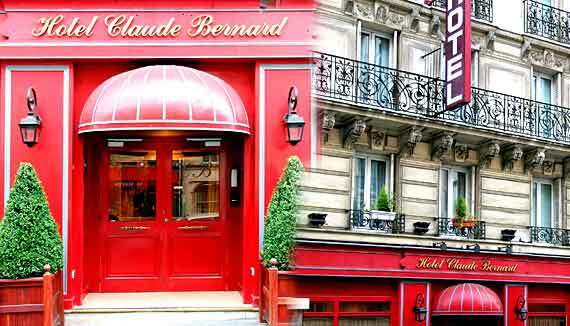 The 3 star Hotel Claude Bernard Saint Germain is located in Paris in the left bank artistic Paris, Pantheon, the Sorbonne University, St Sulpice Church (Da Vinci Code) and Notre-Dame de Paris area. Unique walks around Saint Germain des Pres and the hot Latin Quarter will charm you beyond expectations.